Atmosphere Hot Air Balloons - big enough to deliver, small enough to care…. We are a team of very passionate Pilots who have and will travel anywhere across the globe to fulfil a dream or a corporate spectacle. 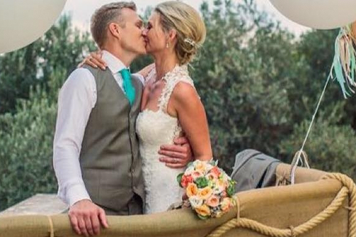 We create tailor made, exclusive flights, memorable tethers at weddings, parties and events. We are experts in the field of aerial marketing for corporate clients. 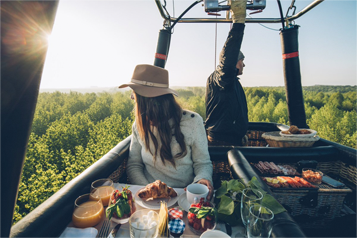 Harnessing the thrill and romance of flying in a hot air balloon is what we live for and giving you memories, experiences or global market reach is what drives us. We attend world class balloon events including the largest at Albuquerque in New Mexico, Europe’s largest Balloon event at Metz in France, the Bristol Balloon Festival, Chatsworth House, Longleat Sky Safari, as well as the Lord Mayor’s charity flights over London and the Cross Channel event from Dover to France, to name just a few. We can bring a beautiful hot air balloon to your event and create something very memorable for you and your guests. Delight in champagne and canapes over beautiful countryside as our balloon carries you serenely on an Exclusive Flight. We can design and create a balloon which represents your business/brand and this includes special shaped balloons. 'Please can you pass on our thanks to our pilot and your crew for taking such good care of us and giving us such a fantastic flight and soft landing, never knew England was so beautiful from a balloon, next time it will have to be Wales. 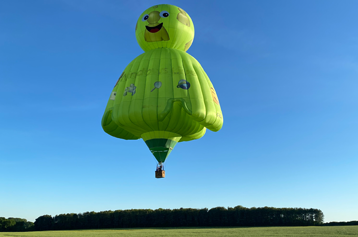 'Just a note to thank you so very much for offering both my wife and I the opportunity off the cuff of a flight in your balloon in Kitzbuhel. A very memorable experience and we are very grateful for your largess. © 2019 Atmosphere Hot Air Balloons.